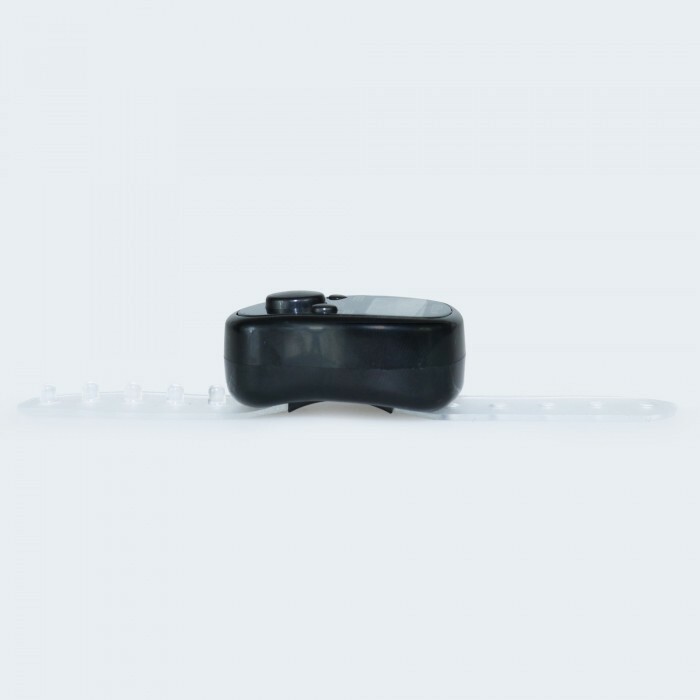 The Neat LED digital row counter helps you keep track of how far you've come or how much you're missing. The button on the right side gives you brief light on the screen, so you can always see the number, whether you're in a room with poor lighting. 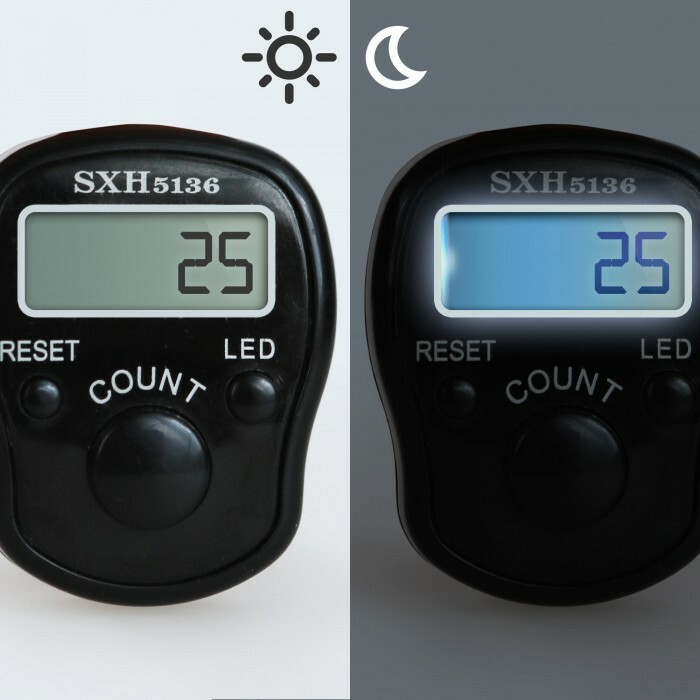 The LED digital row counter can easily be tied around your finger and allows you to count without having to put your knit or crochet out of your hand. An indispensable tool for those who love to knit or crochet. When you turn off the row counter, remember the last entry. 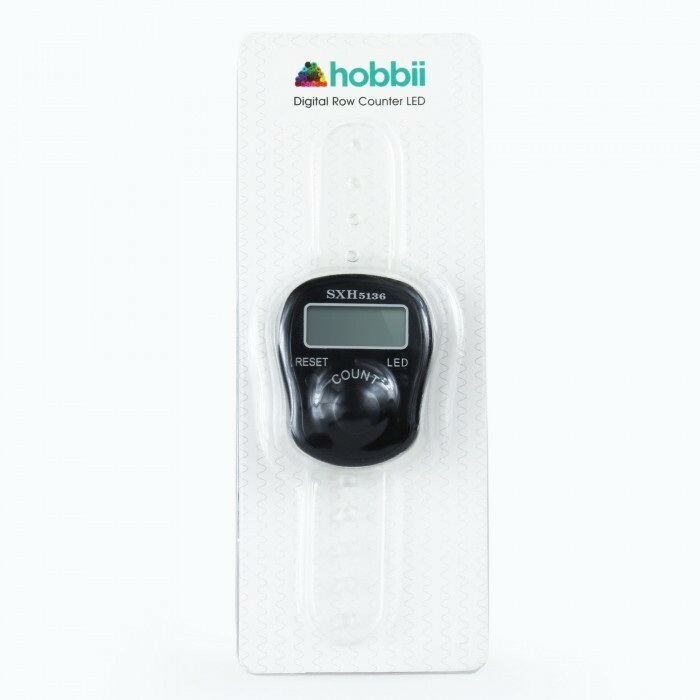 This digital counter is very handy and quick to use. So far I have not worn it on my finger whilst knitting as I don't find it very comfortable. However, I leave it by my side and just click the 'count' button to adda row. If the digital readout has gone off you click once to switch it on and once to up the row count. Reset sets you back to zero. The LED button gives you some light on the screen (in case you're knitting in the dark??). I'm really pleased with my counter. A lovely, unexpected free gift when I placed my order. Thanks hobbi 😀 Works great. Just what I needed to keep track of my knitting. Excellent product.